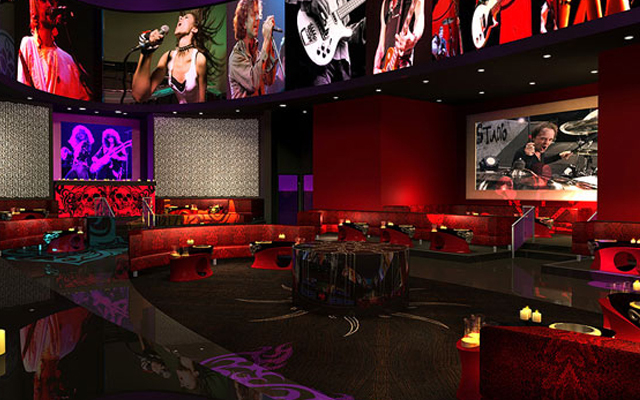 Club Rok Las Vegas : Despite Las Vegas' plethora of clubs, it has sometimes been hard for club goers to find a full rock club. Sometimes people simply crave music with unique lyrics and good, non-repetitive rhythm. The lack of such a club has been solved with New York-New York's Rok Nightclub. Jonas Lowrence and Francois Frossard teamed up to create this gem of a Las Vegas club. Frossard designed Mansion and Set in party-town Miami, so you knew that the creators of Rok Nightclub were bound to succeed. 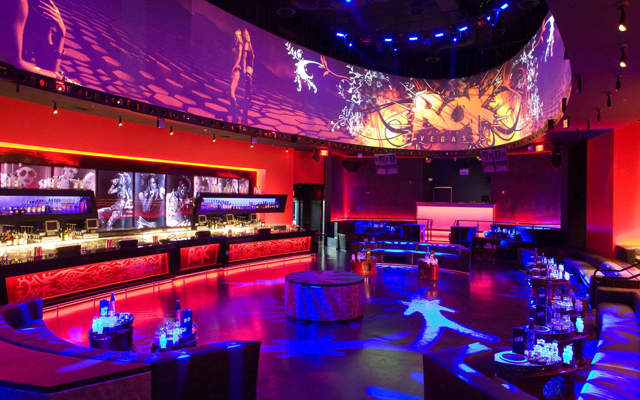 Part of Rok nightclub's charm is that it was designed to be a more intimate experience than some Las Vegas nightclubs. In fact, compared to other clubs, Rok is intuitively laid-out. You'll never have to worry about losing your friend in a snake-like labyrinth. The room is a simple rectangle with a bar running the length of it. The beauty of such a layout is that clubgoers can see the video screens and even the stage from almost anywhere. You might be wondering why there would be video screens. It's simple. Another distinctive feature of Rok Nightclub is that it has not only a DJ, but also a VJ. Between the turntables of the DJs and the lighting and images of the VJs, these masters of entertainment create a night out that you won't soon forget. The rock scene indoors is distinctively New York style, as you might expect from a club located in New York-New York. Rok nightclub is an equal opportunity rock club, however, so if you step out on the patio you will feel like you have been transported to Los Angeles. The many moods of Rok Las Vegas keep it interesting, and its embrace of the different styles within the genre of rock music make it a must-see for all rock fans. No hats or sport shoes.